After a (revised) USD $1.63 billion trade deficit in April 2018, Indonesia posted another big trade deficit in the following month. In May 2018 Indonesia's trade deficit reached USD $1.52 billion, slightly lower from the deficit in the preceding month but still constituting a wider deficit than had been expected by analysts. Despite rising exports in May, a soaring crude oil price managed to put big pressures on Indonesia's trade balance. 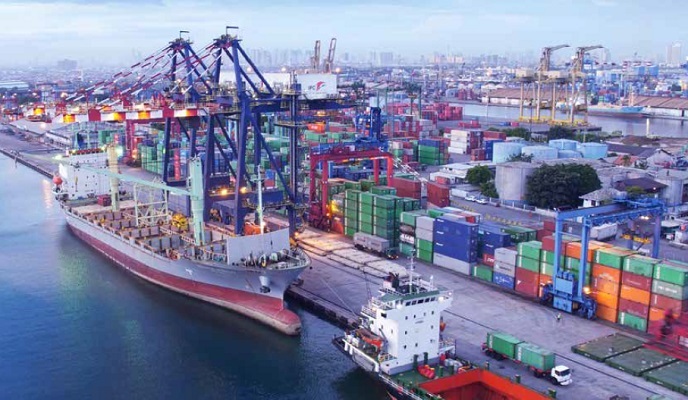 According to the latest data from Statistics Indonesia (BPS), Indonesia's total exports rose 12.5 percent year-on-year (y/y) to USD $16.1 billion in May 2018. Non-oil & gas exports grew 11.6 percent (y/y) to USD $14.5 billion. Meanwhile, oil & gas exports, which contributes much less to Indonesia's total exports, climbed 21.5 percent (y/y) to USD $1.6 billion (also supported by rising crude oil prices). What is interesting to note is that Indonesia's export performance (+12.5 percent y/y in May) was actually quite good considering the ongoing trade tensions between the US-China and US-European Union. China and the USA are Indonesia's biggest trading partners. As such, it would make sense that escalating trade tensions between the USA and China impact on Indonesia's trade performance. Indonesia's non-oil & gas exports to China amounted to USD $2.09 billion in May 2018, up 15.4 percent from exports in the preceding month. Meanwhile, non-oil & gas exports to the USA rose 10.0 percent (m/m) to USD $1.57 billion in May 2018. Thus, the trade tensions seem not to impact on Indonesia's export performance (yet). Imports into Indonesia rose 28.1 percent (y/y) to USD $17.6 billion in May 2018. This larger-than-estimated increase was attributed to the rising amount of imports of crude oil and its derivative products as well as rising demand for consumables in the context of the Ramadan and Eid al-Fitr festivities. Global crude oil prices have risen in recent months on the back of supply concerns in several major oil-producing nations. Indonesia's oil & gas imports rose 57.2 percent (y/y) to USD $2.8 billion in May 2018. Meanwhile, non-oil & gas imports grew 23.8 percent (y/y) to USD $14.8 billion. The latest monthly trade deficit means that Indonesia, cumulatively, now has to cope with a USD $2.8 billion trade deficit in the first five months of 2018. For comparison (and in stark contrast), Indonesia had a USD $6.0 billion trade surplus in the January-May 2017 period. The January-May 2018 trade deficit puts additional pressure on Indonesia's current account balance as well as on the Indonesian rupiah exchange rate. The Indonesian rupiah had weakened 0.48 percent to IDR 14,154 per US dollar by 15:45 pm local Jakarta time on Monday (25/06) according to the Bloomberg Dollar Index.